The use of video as a reflective tool to encourage learning is now commonplace across professional sport. The value it brings to learning has now seen this utilization transcend to the very highest levels of the youth game. As such we at Sporting have made a commitment to our membership that we will provide the tools to learn using this mode. 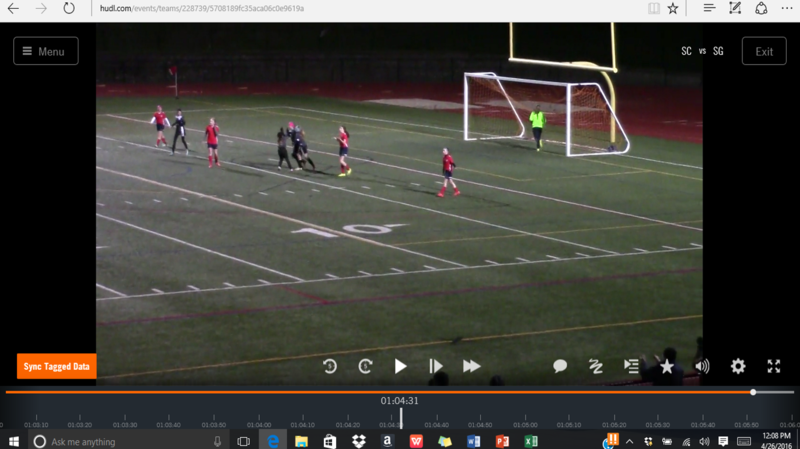 We are thrilled to announce that we have recently agreed a partnership with HUDL Sports that allows our players access to all footage of their games where they can then make highlight reels of their own performance, watch key moments from the game or follow the coaches comments and feedback from specific situations. Ultimately it gives them an opportunity to reflect upon and improve their performance in a fun, modern and highly proactive way. In addition to this and the FOCUS X2 software the club also invested in - we can record statistical measures of games, tracking possession and key performance indicators for both individuals and teams. No other club in the State is currently utilizing such advanced approaches to player learning and we cannot wait to see the benefit it presents to our members.